Before discovering the best adult palatal expander in existence, I underwent a failed round of treatment with a more traditional adult palate expander. July - October 2018 - Dr. Kundel will not install the Anterior Growth Guidance Appliance until teeth recover from the acrylic appliances and return to their original position. This takes 4 months. November 2017 - Present - Dr. Kundel installs the Anterior Growth Guidance Appliance. He anticipates roughly a year of expansion with this device, followed by braces. In his book Straight Talk about Crooked Teeth, Dr. Kent Lauson calls the expander used on my maxilla a "3-Way Sagittal Appliance" (p. 165). A similar appliance was made for my lower teeth as well. Dr. Lauson declares this appliance to be "the most powerful orthopedic appliance in existence" (p. 166). As we will see, this is definitely not true. My upper and lower acrylic palate expanders, called sagittal appliances. These expanders failed. Both appliances have a metal skeleton overlayed with acrylic. They are worn at all times, including sleep and while eating. They are only removed for cleaning (after each meal). Because they are removable, these appliances are easy to expand by the user, which is what made my remote treatment possible. During this treatment, my orthodontist was in Colorado and I was in Massachusetts. The appliances are expanded by inserting a special key into the expansion jackscrews and turning. Every jackscrew is expanded 1/4mm per week, which is 1 key turn. In the orthodontic community, this is referred to as "slow" as opposed to "rapid" palatal expansion. During rapid palatal expansion, the jackscrew is expanded as much as 1mm per week (4 times faster). The optimal rate of expansion using these appliances is a matter of ongoing debate in the orthodontic community, but Dr. Lauson holds the opinion that "slow palatal expansion (only about one activation of 1/4 millimeter per week) is the most physiologic and ideal stimulation for midface/palatal expansion" (p.197). These appliances work by applying a constant pressure to the gums at the base of the teeth. The idea is that by spreading the palate with this force, the mid palatal suture will be stimulated to grow, making the palate wider. Dr. Lauson declares that "slow activation stimulates the differentiation of stem cells located within the sutures to form osteoblasts, leading to true bone formation" (p. 197). As for the lower jaw, to this day I do not understand the rationale behind expanding it with a sagittal appliance, as was attempted on me. There are no sutures in the mandible that can be expanded. And as you will see, all that the sagittal appliance was able to do for my mandible is cause my teeth to flare. I used the sagittal appliances from mid-January 2017 until the first week of July 2017. I expanded the lower appliance a total of 7mm, and the upper appliance a total of 6.5mm on each of the 3 screws. My results were poor and in July of 2017 I decided to abandon this treatment. These appliances created little if any actual bone growth in my jaws, which is the definition of true palatal expansion. 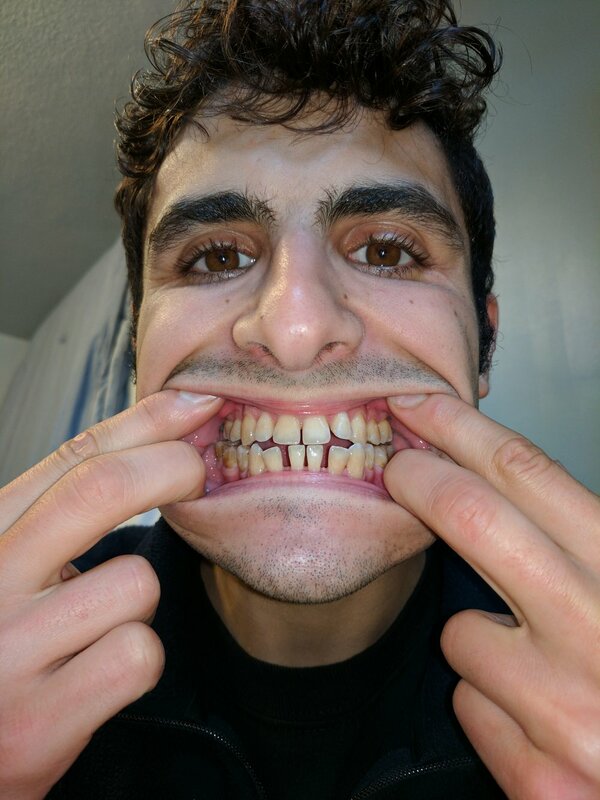 Instead, they mostly flared my teeth, which means that they put pressure on my teeth, causing them to pivot in their sockets. Teeth flared in their sockets instead of new bone being created. Rather than sitting directly over my gums, the teeth were obviously tilted at an angle. This means that the all the appliance was doing was forcing teeth out of position, not actually stimulating bone growth. Gum/bone loss in some upper molars, caused by the appliance flaring teeth in their sockets. Upper inner gums became white with infected soars due to extreme pressure and irritation from the appliances. Chewing was painful because my teeth were under constant strain by the appliances. Dr. George Maloney DMD at Tufts Craniofacial Pain Center echoed his message a month later. In June 2017 Dr. Leonard Kundel confirmed once and for all that the Sagittal appliances were causing bone loss, not bone growth. Dr. George Maryniuk DDS took the below photo of my gum loss in September 2017. Dr. Carol Yun DMD measured my gum loss at between 5-7mm that same month. The following photos, taken in May and June 2017, portray this damage. Front teeth flaring in sockets. Upper molars flaring outward, and nasty sores along their base. 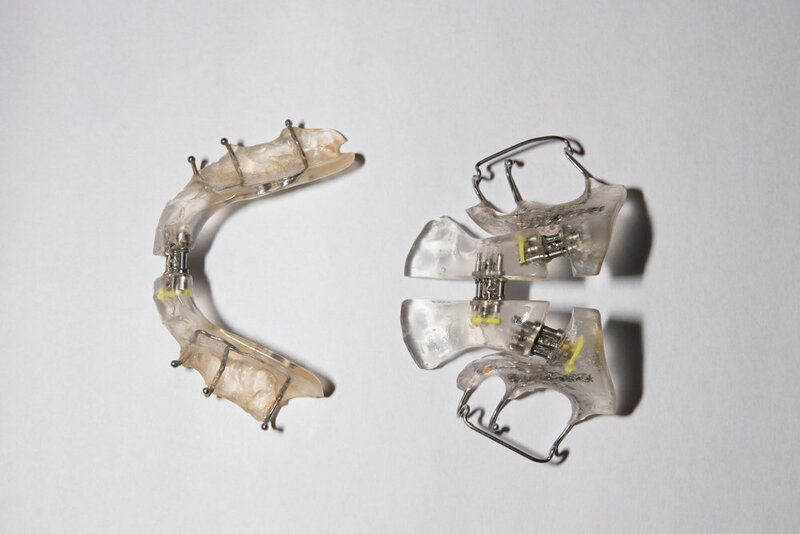 In July 2017, Dr. Leonard Kundel introduced me to what is truly the most powerful expansion device in existence–the Anterior Growth Guidance Appliance, also known as the Controlled Arch Device. This device uses physiological instead of mechanical force to create three dimensional bone growth throughout the jaws and face. The sagittal appliances attempt to use brute mechanical force to pry the jaws bigger. The Controlled Arch Device takes advantage of the body's natural ability to deposit bone in response to trauma, micro trauma and soft tissue stimulation. It takes advantage of the same mechanism that is at play when a bone is fractured, and the body deposits bone to heal the break. This elegant and ingenious device provides a gentle stimulus to the upper palate in just the right spot–right where an ideally functioning tongue would rest and serve as a natural palate expander. 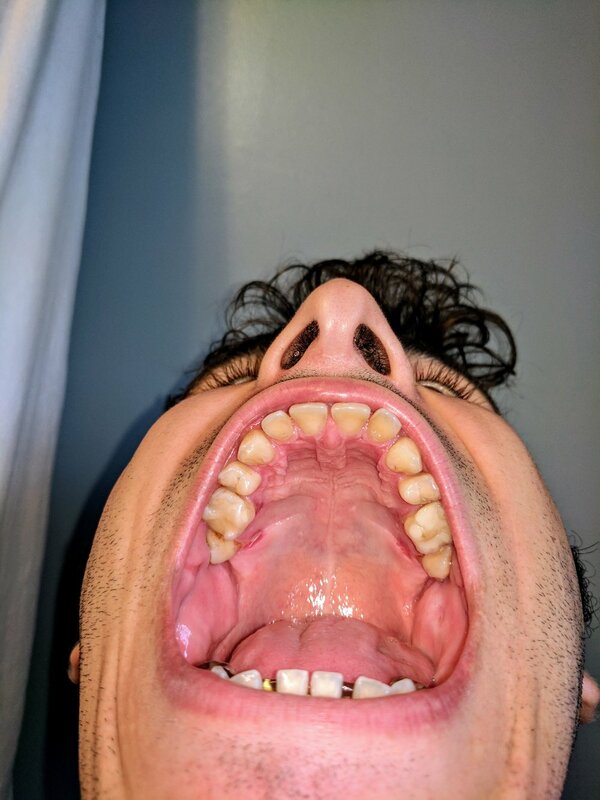 In essence, the Anterior Growth Guidance Appliance functions as an artificial tongue for those of us whose craniofacial complex is so out of whack that proper tongue habits are impossible. In response to this stimulus, the body deposits bone, growing the jaws and airway bigger at a stunning rate. 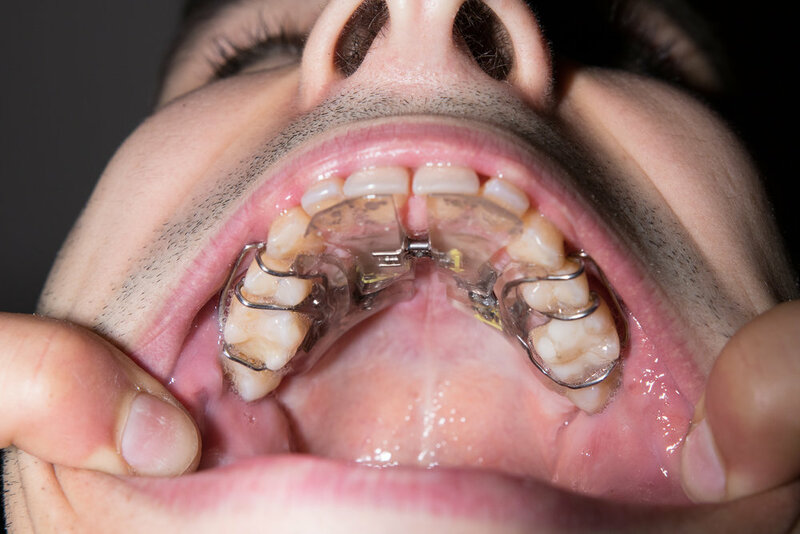 Furthermore, because the Anterior Growth Guidance Appliance is minimalist and low profile, it allows the user to develop and hold proper tongue posture while wearing the device. This was not the case with the rough, bulky Sagittal appliances.